The Goodyear Fortera HL Edition is the perfect SUV/Cross over tire. Offering looks,Durability, and performance for the budget conscious. 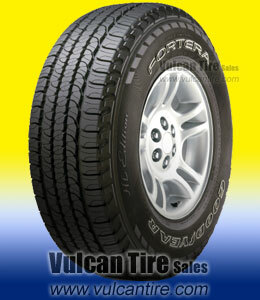 Excellent tread life...Get a set at Vulcan Tire Today.